Best Friends Animal Society Trainers with Michael S. Sweeney. National Geographic. $26.00. 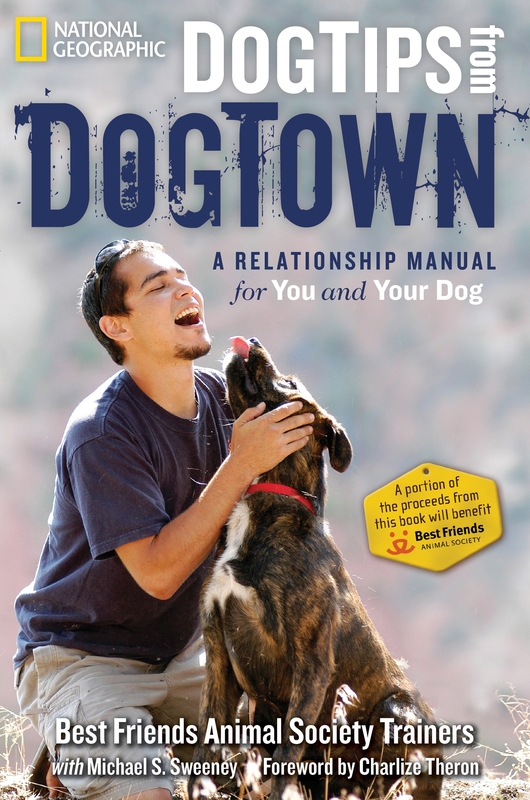 It seems like just about everyone has written a dog-training manual. Who to believe? What technique works for you? This one certainly deserves your attention, since these trainers have dealt with endless “projects” and seen it all, when talking about mistreated pooches. While much of the content mirrors what you’ve read elsewhere, there are some terrific pointers to help you avoid a potential mismatch. But this guidebook is directed at avoiding the thousands that end up with a castoff being taken to a local shelter. Usually, the cause is behavioral or simply a poor match-up from the outset. Best Friends seeks to avoid both with a lengthy and thought-provoking applicant questionnaire on its web site and at its Utah shelter, followed by an interview. You might feel like you’ve been through The Inquisition, but both are designed to make certain the dog’s next stop will be her lifetime home. “DogTips” focuses on searching for the right dog for you, preparing the home, training, prioritizing exercise and enrichment, learning to cope with and understand behavioral issues and wraps up with Ten Takeaways for a Fulfilling Relationship. Every dog is an individual, even in the same breed, and looking for an old pet in a new dog can lead to great disappointment on both sides of the relationship. While breed research is highly recommended, don’t invest too heavily in stereotypes of breeds. Hence, the importance of spending plenty of time with the potential adoptee and asking countless questions of shelter staff, foster parent or breeder. Remember, there is no such thing as a dumb question. Watch a dog as she reacts to your own body language, whether it’s during an early meeting or a month after she’s in your home. Your dog is watching you for signs that she tries to interpret. Dogs, like children, are information-gathering machines. They constantly observe what others do. They live in the moment, testing various behaviors to see what happens. While the Ten Takeaways seamlessly reflect a tough realism, I rank one – Your dog needs socialization and enrichment – high atop the list. It accents mental and physical stimulation, the driving forces that keep Fido from becoming frustrated and bored, the trigger mechanisms prompting unwanted behavior and sometimes eventual relinquishment of the animal to a local shelter. “DogTips” blends keen insight and simplified, practical solutions with an earthy delivery into an unvarnished portrayal of dog ownership’s torrent of emotions and countless challenges.